Welcome once again. 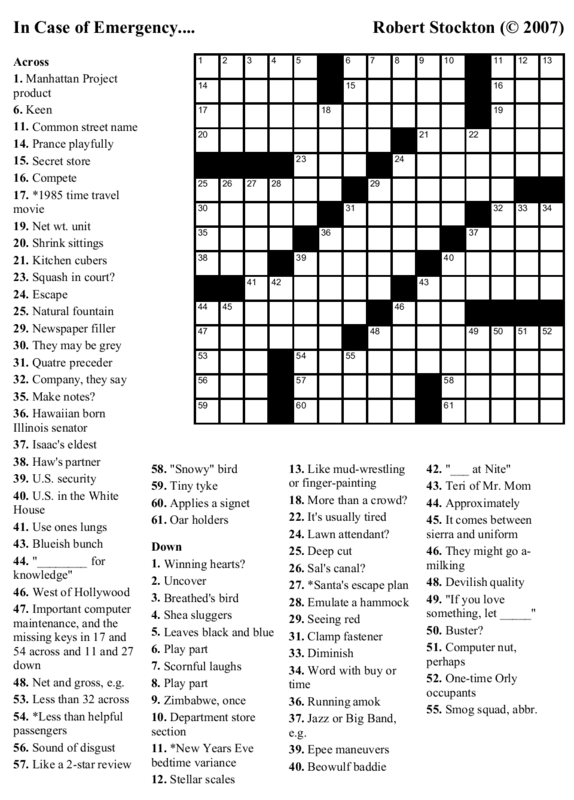 Hopefully, you’ve got your #2 pencil sharpened and your books all stowed away, because it’s time to dive into a new crossword. 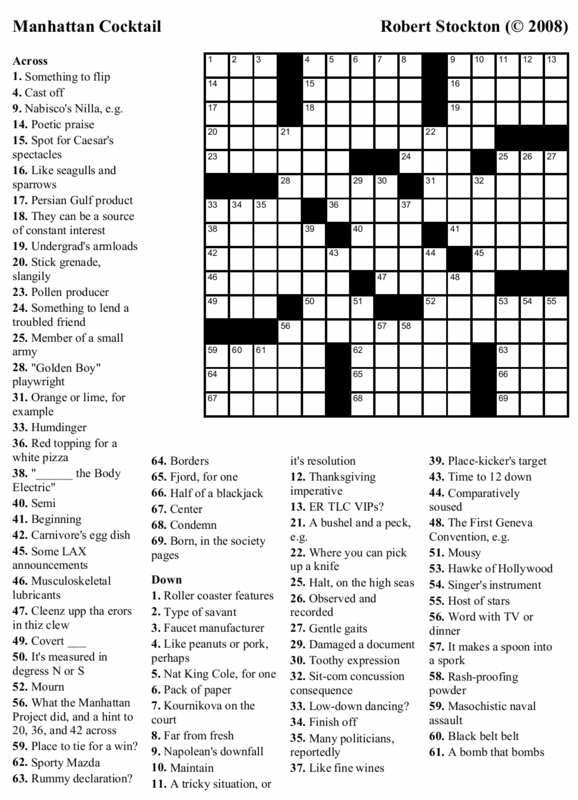 This week’s crossword was inspired, oddly enough, from one of the advertisements that I’ve sometimes spotted on the side of this blog. I won’t tell you which one — that would give away the theme — but you’ll likely see it again if you keep your eye out. Why take a theme from such an odd source? Basically, you take your inspiration wherever you can get it. 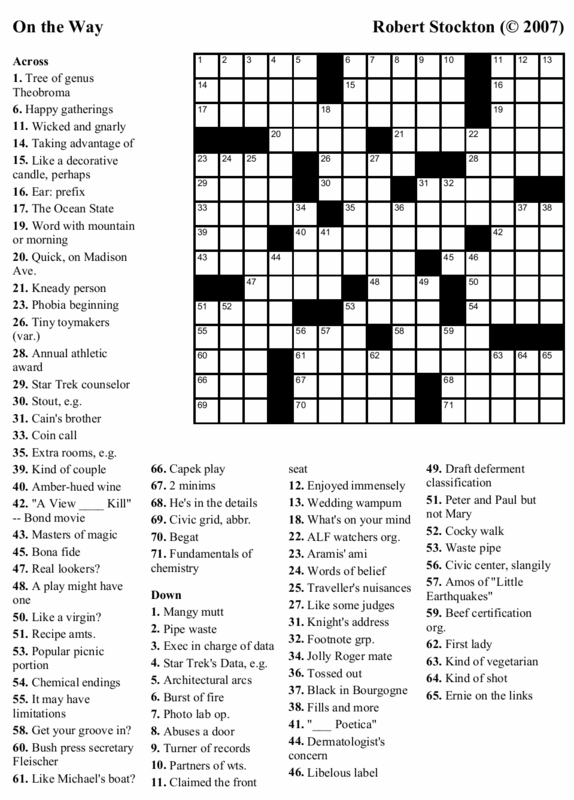 This puzzle has not yet been rated by our loyal panel of reviewers, but you will most likely find it to be around a Tuesday/Wednesday difficulty level on the New York Times scale. Once again, you can take your pick of two different formats: feel free to download either the Across Lite version or the printable PNG image. Either one is equally likely to contain your minimum RDA of OREOs, OLEO, and BRAISED EMU. Hello again, and happy Wednesday to all of you. 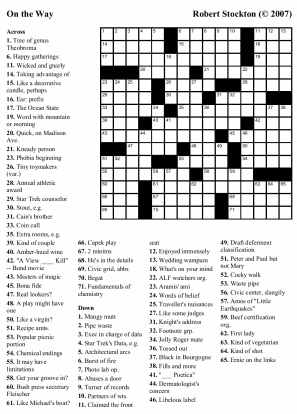 This week’s puzzle carries us all the way to the land of Dilbert, and issues of corporate R&D. 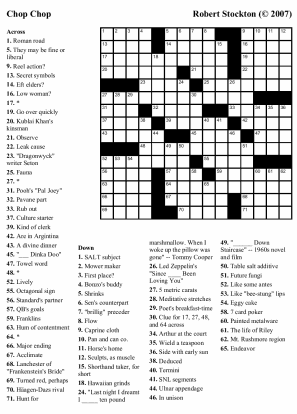 To anyone sneaking internet access from your cubicles in order to grab these crosswords — this one’s for you. We here at Beekeeper Labs are proud to represent a small self-owned software company which is unanswerable to any corporate bureaucracy. We are therefore freely empowered to make all of our own mistakes and blunders rather than having them forced upon us by our pointy-haired bosses. This is the American Dream. The powers that be have decided to let you opt into one of two format offerings: either Across Lite or a printable PNG image. True crossword junkies are encouraged to spend a few seconds admiring this puzzle’s grid. It features full rotational symmetry, with an aesthetically pleasing interlock between the 11, 9, and 7 letter entries. Non-junkies can ignore all of this and just enjoy the puzzle. 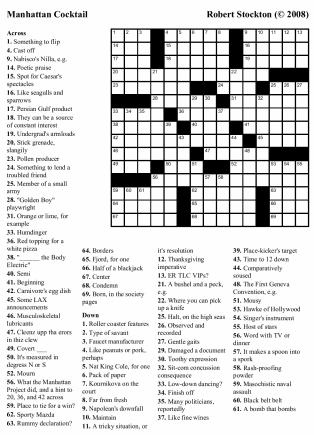 True crossword purists will probably simply count the number of three-letter words and sneer — there’s no pleasing everyone. However, hopefully the puzzle will please you. Let us know what you think. Comments are open, or you can send mail to keeper@beekeeperlabs.com. 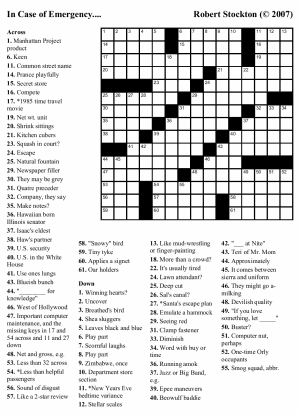 To get your very own copy of the puzzle, download from the link of your choice to get either the Across Lite version or a printable PNG version. So come and get it while it’s still piping hot, either as a mouth-watering Across Lite file, or an equally delicious printable PNG image. 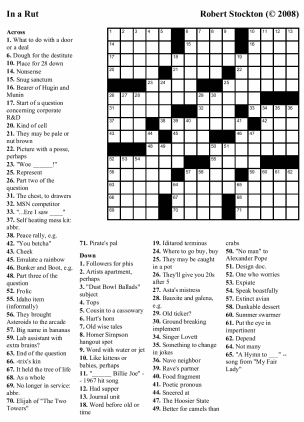 Those of you who follow this blog closely may have noticed that this puzzle is not being posted on Wednesday as promised. There’s an excuse: the computer which contained all of the appropriate software, word lists, and supporting technology toasted itself. Apparently it failed to realize that it’s best to roast chestnuts at least 36 inches away from the power supply and the result, along with the computer, is history. Therefore this week’s puzzle comes to you one day late, but it does come with an appropriate computer emergency theme included. In spite of the delays, some things never change. 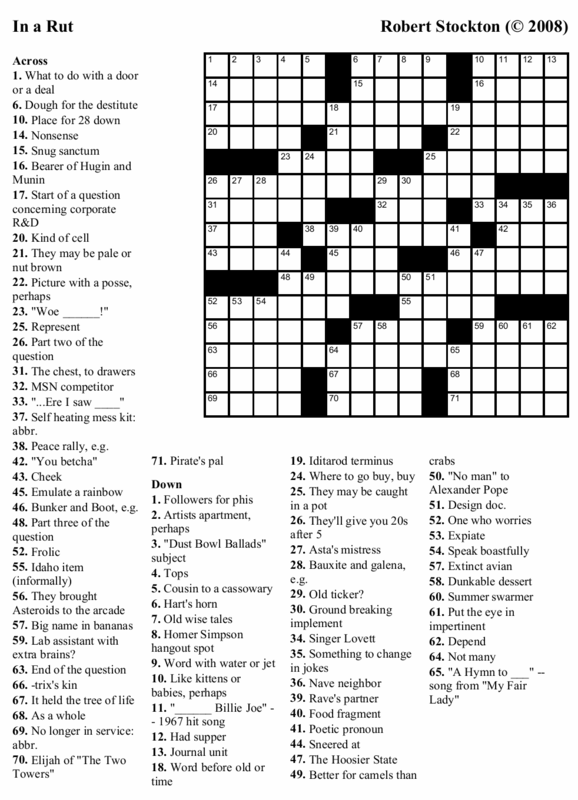 You can still download the puzzle in one of two highly popular forms: either in Across Lite format or as a printable PNG image. We look forward to getting back to our regular schedule next week, and to sharing another good year of cruciverbalism.